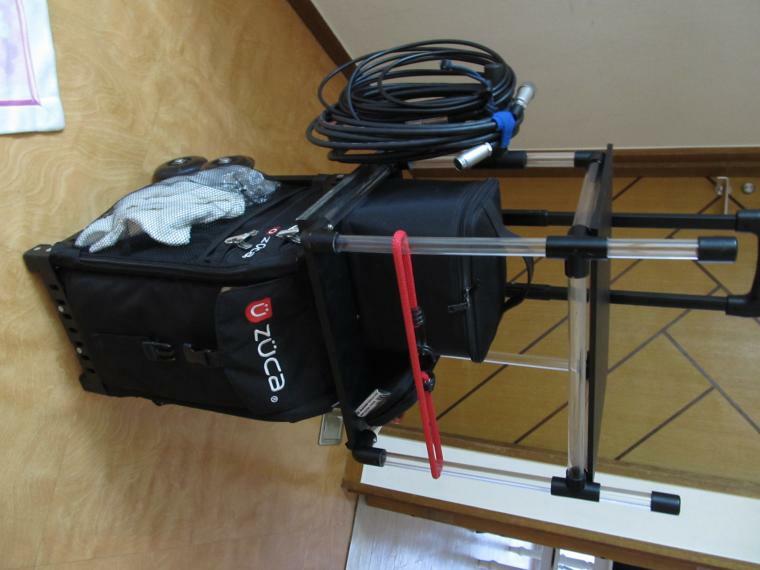 I used ZUCA cart and PVC pipe. This can be broken down. 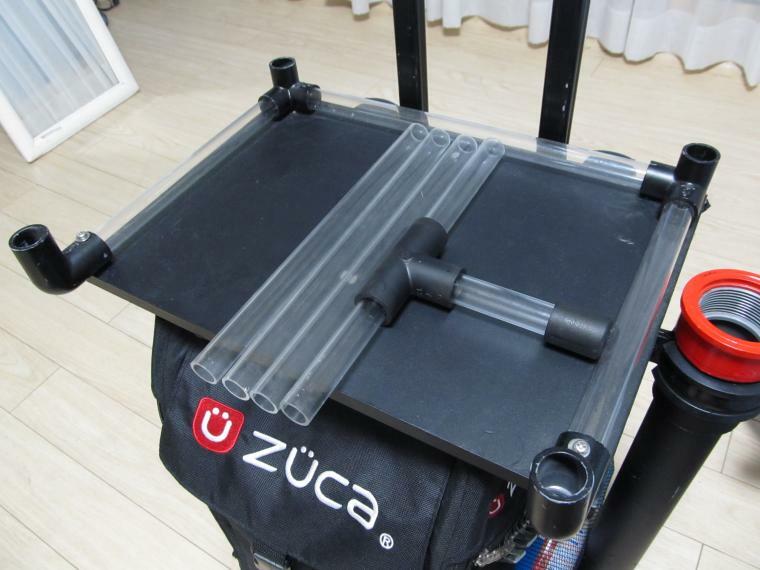 The zuca bag cart has the perfect footprint for alot of my bag jobs. Send more pics please! Today, I have taken a lot of photo. My Cart is Simple. 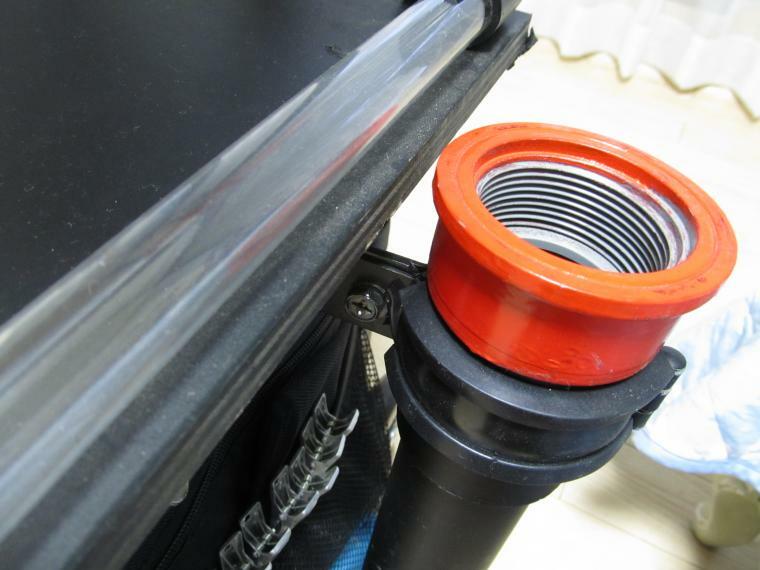 ZUCA cart and PVC joint and acrylic pipe. I was painting black and red. I will go shooting by train to have this cart. 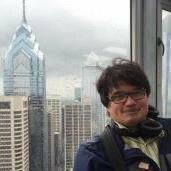 Good job takuro, thanks for sharing your pics. Inspiring setup. Takuro, that's a great little setup you got there. I'm gonna have to make one of my own now. I'm nowhere near getting my own full-fledged cart, but am always looking for a chair or crates to sit my bag on. Dominque and Carios and all you, thank you. I made this cart over a period of 2 months. 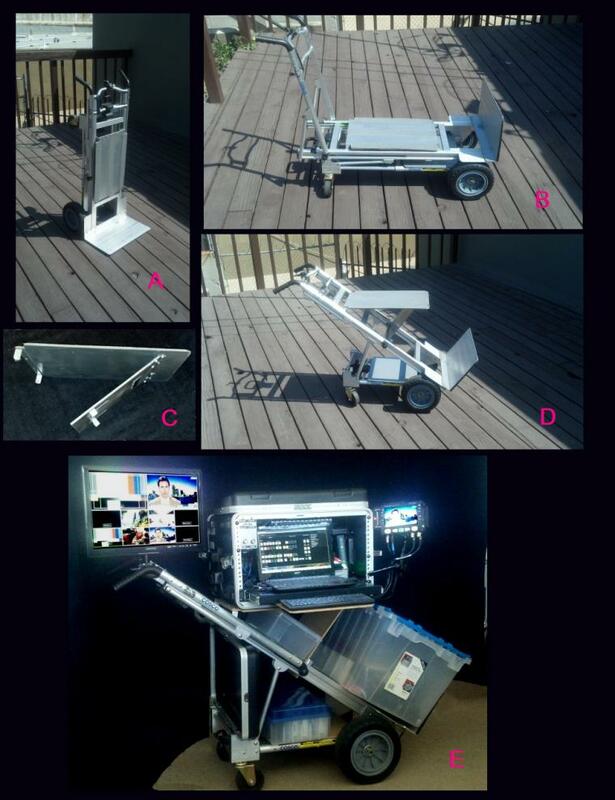 I want to made to this cart was Compact and Small and light. 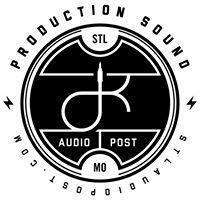 I was referring the the sound cart of this site. 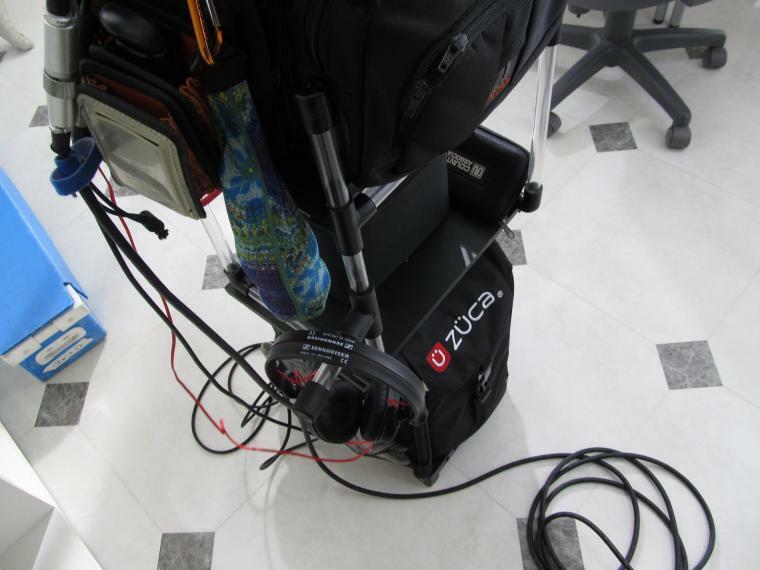 Sound Cart of this site is a wonderful cart. However, Japanese room is very small. My room is small too. I need small cart. I was thinking. This cart was born. 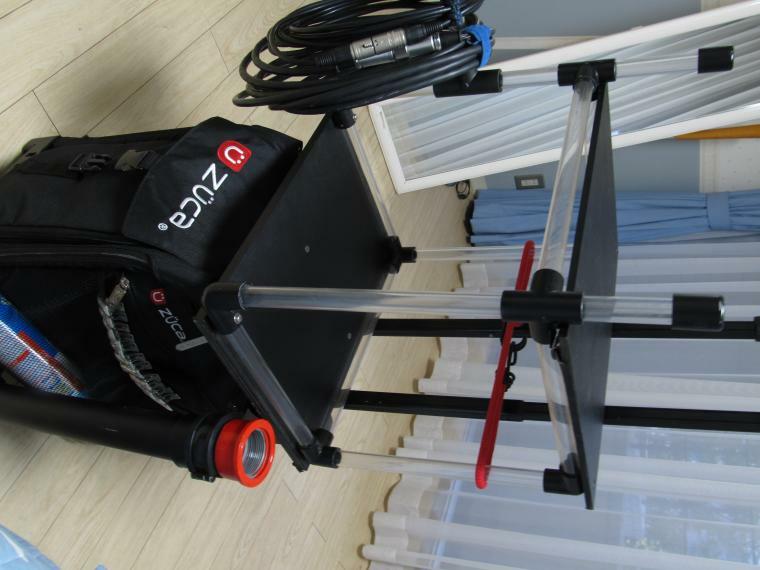 If you will make a same cart, I want to help you. I just got a RockNRoller R12 as well. Went through several different ideas for mounting my booms to it, and landed on QuickFists. Worked perfectly! Just make sure to make a note on how the cart folds up so they don't interfere. 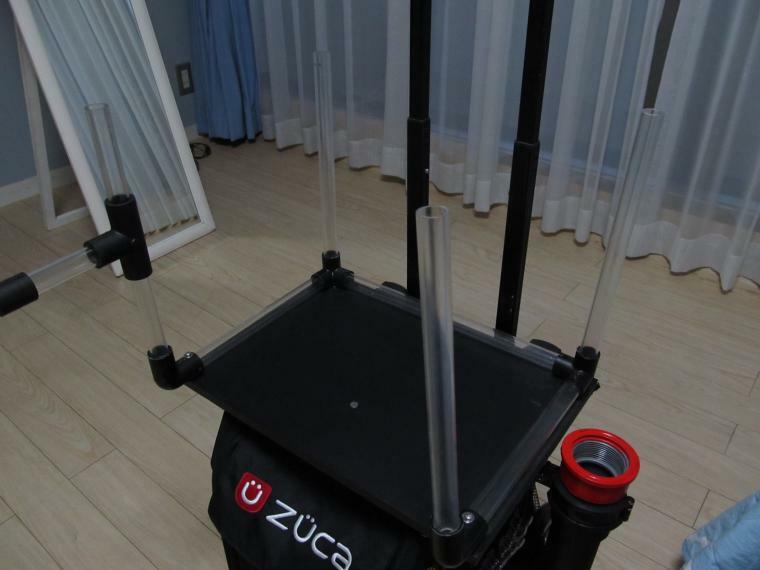 I'm loving the ZUCA cart. Most definitely an interesting set-up! 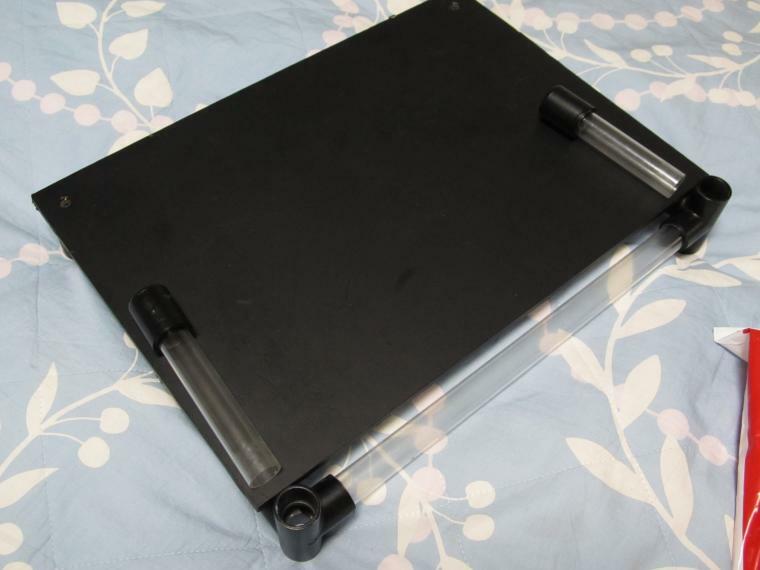 Looking for a cheap cart for my Video Playback gear I came up with a solution that others may want to use for sound cart. Costco has an Aluminum Hand Cart (Cosco 3 N 1 Hand truck) That looks like a Magliner but is much cheaper and is more versatile. When I bought mine it was about $95 but is now about $109. I added about $10 worth of Tempered 1/4" Masonite and hardware store hardware [C] to make a folding shelf and create a working cart that transforms from upright cart [A] for easy transport in my minivan to horizontal Cart to haul cases to the set then to its 3/4 angle mode [D] Where the cases can be placed on it and opened up and used as a working cart [E]. 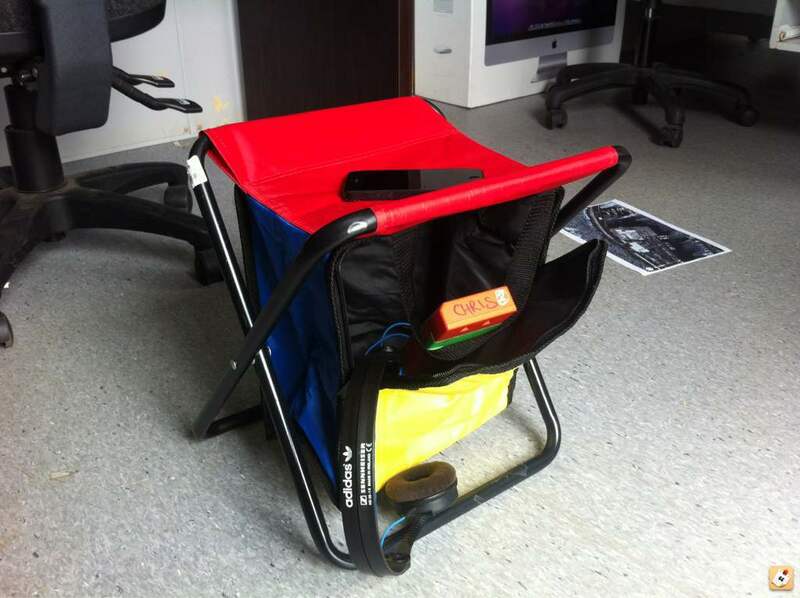 The folding shelf I added folds flat then pops up and locks into position using the carts own locking bar. No extra parts to leave behind or lug around. Transforms from Horizontal mode to 3/4 mode in about 10 seconds using no tools. Only modification to the original cart is to drill 2 holes in the frame to mount the shelf bracket. Total cost about $125 all in. And in the Working Cart mode it is very stable because of the triangular angles and rolls well with a smaller footprint than a full Magliner. Also the angle of the plastic tub I use for cables is held at a convenient angle and is easy to work out of while remaining fully mobile. With the leftover Masonite, I added a small shelf to the lower level held in place by Velcro, which can hold a block battery or small case of extra gear. 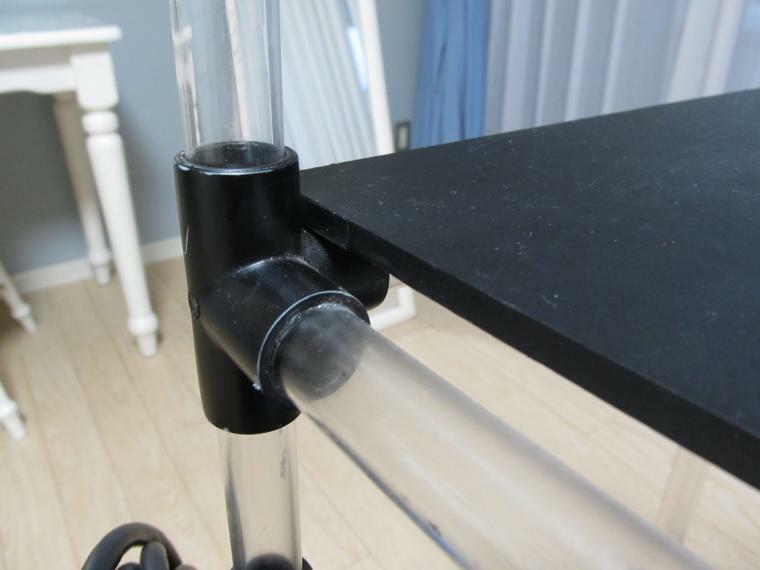 Rock N Roller guys- how do you attach holders for boom poles? 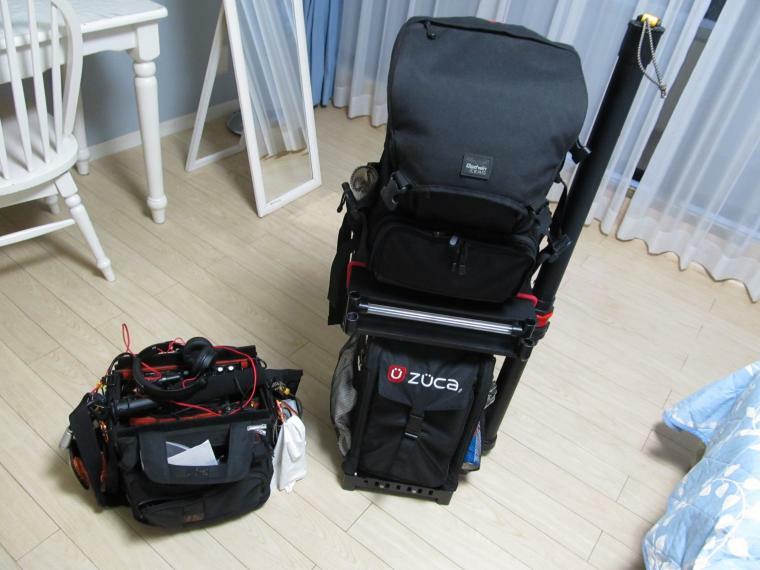 Just got an R12, and I got 2 PSC Bobbers, but haven't figured out a spot where they can work well and also not interfere with the folding of the cart. I have high and low shelves from RnR. p.s. . . . I use http://www.notubes.com/Sealant-C14.aspx in my tubes. Jim, very nice mods! 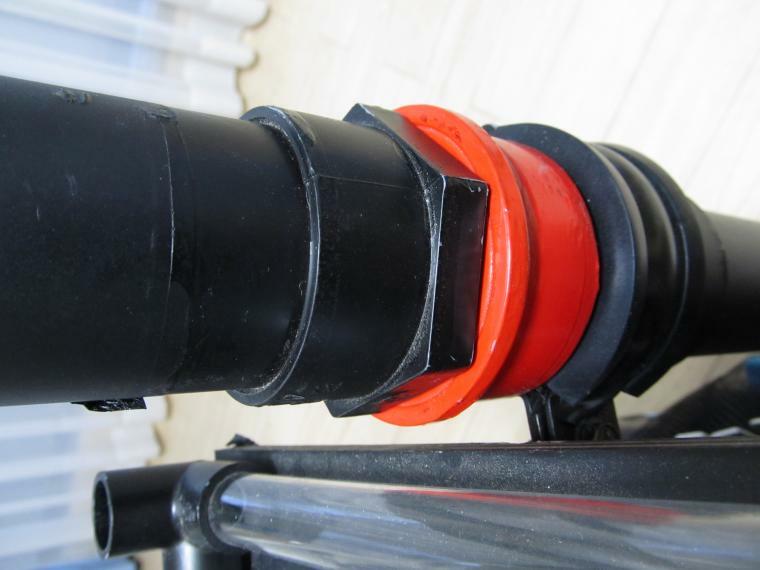 What are the name of the rubber quick releases you're using for your boom poles? I have the bottom taken care of on my cart, but those would be a step above Bongo ties for sure. Mine is brand new (to me), so I'm going through the upgrade process now and these would just be wonderful. 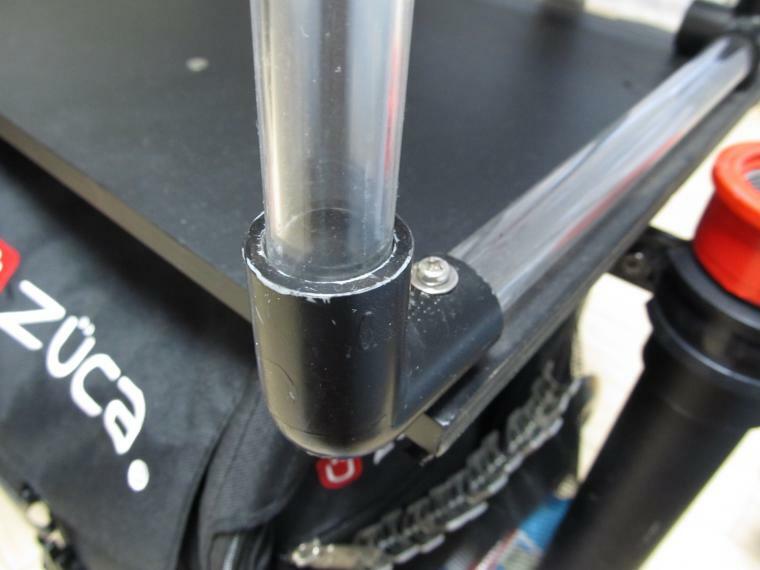 What are the name of the rubber quick releases you're using for your boom poles? Not sure who makes them or what they are called - but I have seen them at Gotham - if you stop buy they have them on the shelf. Just playing around tonight, to get the spacial orientation and feel with my chair. It looks sort of clunky compared to the Backstage accessories, which I may consider doing instead... but pictured here are a pair of the Matthews DIT shelves. Thanks Jose. 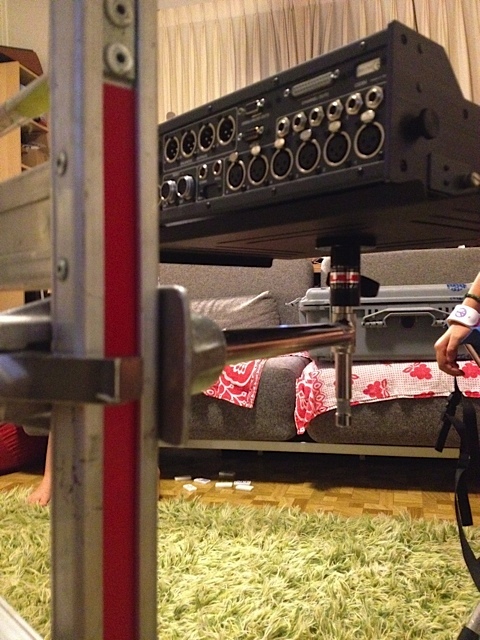 You make a sound cart? Takuro, unfortunately no. Not yet.. Most of my mix/recording work is done through bag. 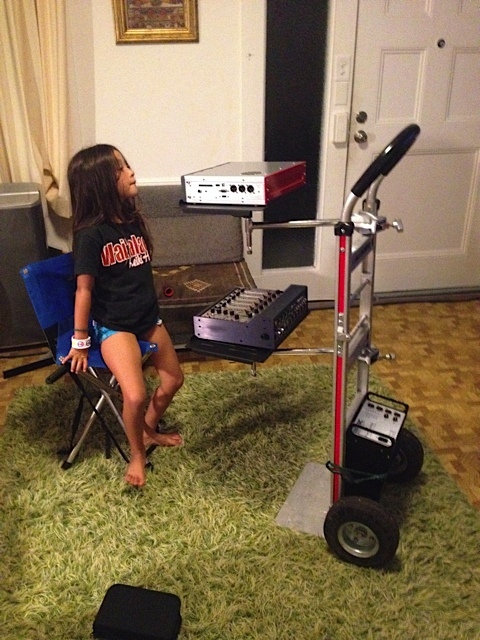 But I do day dream about the day I get to build my own first sound cart. 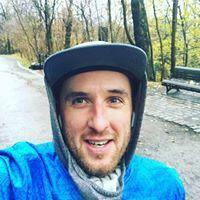 Yours is a great inspiration! Jose, My idea was born when there is no job. Because there was no job, so I made a cart. I wanted to make the cart good sense. Nice mods to you RnR. Are the front and rear wheel original? They look bigger than mine. I'm very interesting in more info on the bottom wood plate (boom holder) and top boom holder? How does the bottom wood plate attach? More pics appreciated. It looks like you have the top boom/stand holders attached to a removable bracket of some type. I'm trying to decipher this as well. I really like your set-up... I need to do this soon. Many thanks for any more info and pics. Nice set up. I was guessing something like this. Maybe I can get busy on this soon. I have all the wood in stock. Mine does not have ties like that, am envious. It looks like you modified the headphone hanger to attache to the middle of the push handle. I'll have to get it and see how it attaches. My neighbor welds for a hobby, so should be able to adapt. Many thanks and nice job!! Is this too low cost? 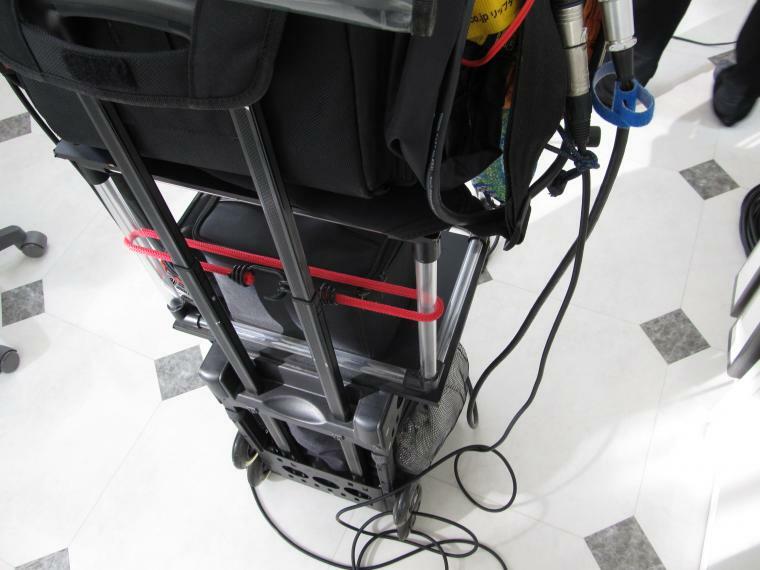 No wheels, therefore doesn't qualify as a sound cart. That looks very much like a shooting stool, like the ones that are typically found on the firing line of high power rifle competitions. Here's a version that has wheels. Yes, a boom pole does in fact fit nicely where the rifle is pictured. 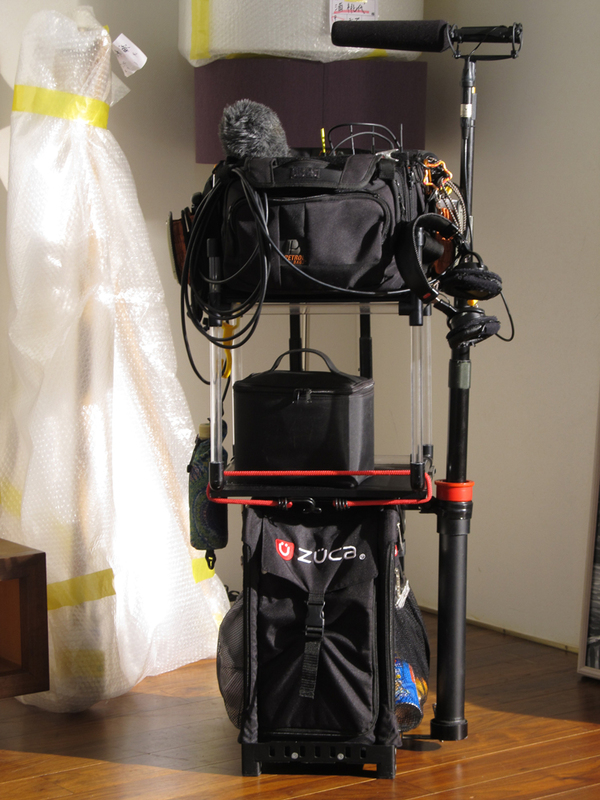 I have one, pull it out occasionally for light gear days in more rugged than usual locations. It doesn't do too well with heavy loads, although I've pushed it's boundaries I'm sure with batteries, Peli 1510, mixer, recorder, and cables. Tom that's very interesting. 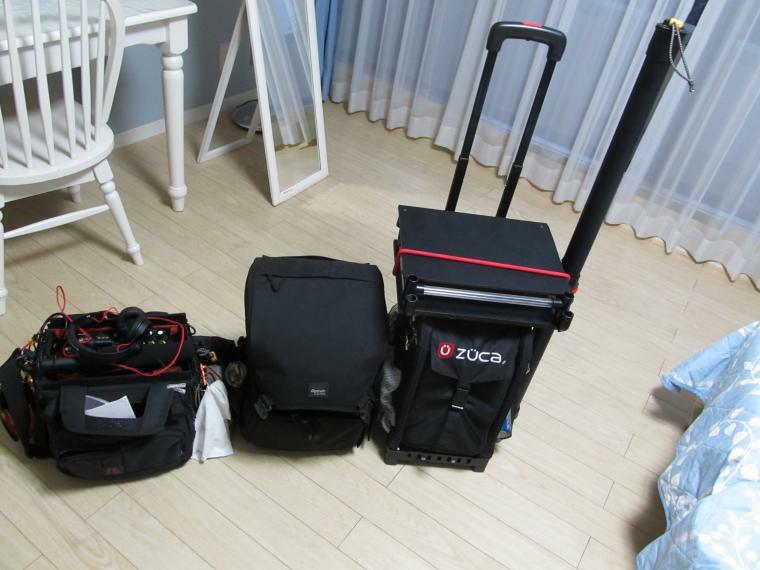 That could be excellent for carrying a light rig plus all batteries, cables, accessories, etc. Sometimes a light rig is great, but if you're going a long way from a storage / drop point hauling the extras by hand isn't usually an enticing option. Something to think about for sure. I'd say it that this cart is right on the border of being rugged enough to actually carry any significant amount of weight, and being compact, foldable, and useful for a long haul.